Agree to Terms, complete your profile and click continue. You will see your production keys (account number, meter number and production key). You will also receive an email with your production password (you need all 4 things). Now that your credentials are received, you need to add these to PeopleVine. 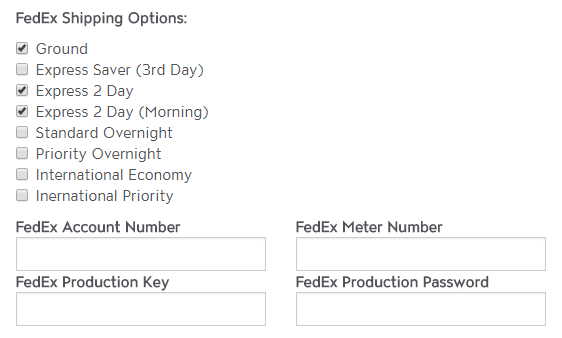 Select a shipping option for FedEx and you will be prompted to enter all 4 items to integrate your account. Save the settings and you're ready to go. 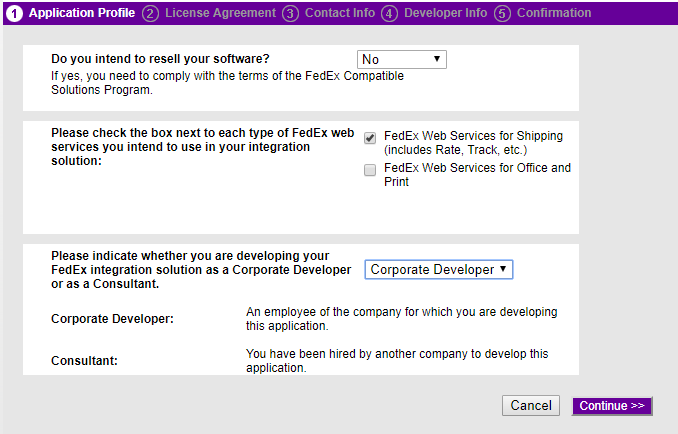 Once this is complete, you can start to generate real-time pricing for FedEx shipments.